You already know that Wildcats are cool, but did you know that Villanova ranked as one of Sierra Magazine‘s 2015 “Cool Schools”? 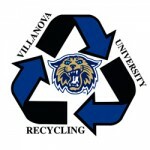 As one of the “greenest colleges and universities in the United States,” Villanova has added a master’s degree program in environmental sciences that begins with the fall 2016 semester. Father Donahue also signed the St. Francis Pledge “to protect God’s Creation and advocate on behalf of people in poverty who face the hardest impacts of global climate change.” You can find out more about the Pledge on the Catholic Climate Convenant website. The Library supports that program and that pledge, even now, by providing specialized resources and librarian research and consultation services. Contact Alfred Fry, science librarian, or Robin Bowles, life sciences librarian, to discuss our resources or to make an appointment. ‘Caturday post by Luisa Cywinski, editorial coordinator on the Communication & Service Promotion team and team leader of the Access Services team.